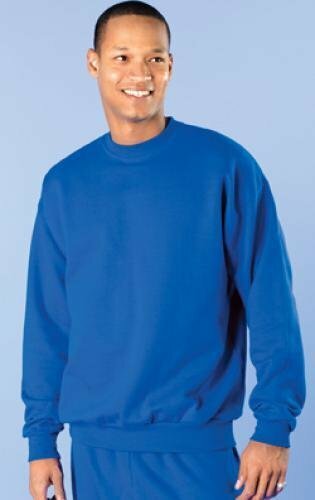 Jerzees Adult 50-50 Poly/Cotton Pre-Shrunk 8.0 Ounce Crew Neck Sweatshirt. Nu-Blend? pill-resistant fleece with 1x1 rib collar, cuffs, and waistband. Cover seamed waistband, armholes, and neck opening. Seamless body with set-in sleeves. Sizes: S-4XL.